Carl Friedrich Gauss was a multi-talented person. He was scientist, who worked in various fields including number theory, statistics, analysis, differential geometry and geophysics, electrostatics, astronomy and geodesy but he excelled most in the field of mathematics. Due to his impressive contributions and portrayal of pure brilliance in the subject he is known as the ‘Prince of mathematics’ and the ‘Greatest Mathematician since Antiquity’. This great mathematician was born on 30th April 1777 in Braunschweig-Wolfenbüttel, Germany. 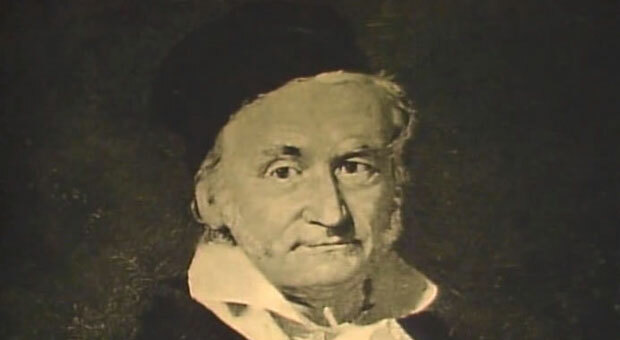 Son of Gebhard Dietrich Gauss, who was a gardener and a brick layer and mother Dorothea Gauss, who was the daughter of a stonecutter; a very simple and uneducated family, Gauss showed immense aptitude for mathematics since the start of his education. As his mother was illiterate she had no record of his birth date. Being a child prodigy, Gauss used some calculations to work it out himself. His teachers straightaway spotted the potential when he added up the 1 to 100 integers by noticing that the result was 50 pairs of numbers the answer of each sum was 101. In his teenage he had made some amazing mathematical discoveries and by the time he was 21, he had already finished with his magnum opus ‘Disquisitiones Arithamaticae’ in 1798. It included the number theory which has helped mathematics till today. Having heard about the amazing intellectual abilities of Gauss the Duke of Braunschweig offered him studies in the ‘Collegium Carolinum’, an offer that Gauss accepted. He was there from 1792 to 1795. He attended the University of Göttingen from 1795 to 1798. During this time he worked and solved many theorems. In 1796 he solved the major construction problems by proving that Fermat Prime Polygon can be constructed by a compass and ruler. Furthermore, Gauss constructed a heptadecagon. He went deeper into modular arithmetic to further simplify the number theory. In 1801, his work ‘Disquisitiones Arithmeticae’ was published which was a significant contribution to the number theory making the work of previous mathematicians outdated. In 1801, a planet or asteroid was discovered by Giuseppe Piazzi which grabbed Gauss’s interest in astronomy. Subsequently, he was made the director of the Observatory in Göttingen, a post that he never abandoned till his death. After effectively determining Ceres’s orbit, Gauss foretold its position too. In 1809 he published a book on the theory of the motion of the planets called the ‘Theoria Motus Corporum Coelestium’. He used the method of least squares which is also used today to calculate the values from existing annotations. He was also the first to develop Non-Euclidean geometry. He did not publish any related work because he did not want to get involved in any controversies. Gauss was made a member of the Royal Swedish Academy of Sciences in 1821. He collaborated with Wilhelm Weber (a Physics professor) to develop new ideas in magnetism and circuit laws in electricity. They also made an electromagnetic telegraph in 1833 which led to a connection between the observatory and the institute of Physics. His work the ‘Dioptrische Untersuchungen’ was published in 1840. A perfectionist and hard worker by nature, Gauss accomplished a lot in the field of mathematics by making important discoveries. The astute mathematician died on 23rd February 1855.